These silk organza flower hairpieces will add romance to any bridal look. Each flower is adorned with a Swarovski® crystals. Available in a variety of colors or traditional bridal white and ivory. Comes in a set of 3. 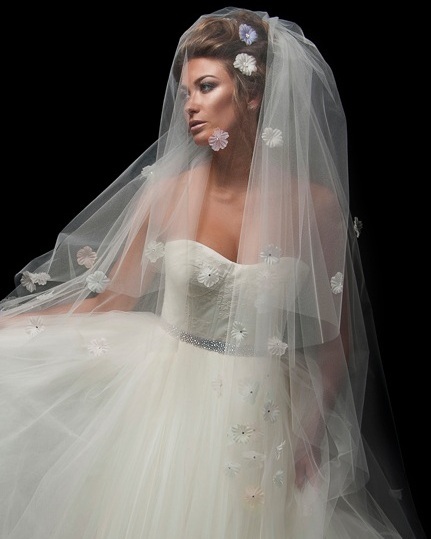 Paired with the Delilah veil and Carissa sash.